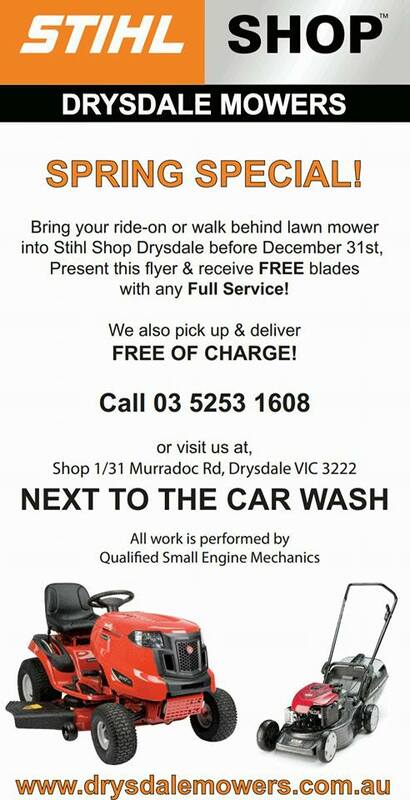 Our lawn mower shop in Drysdale currently has a spring special on for servicing. When you book your ride-on or walk-behind lawn mower in for a full service you can receive free blades. We are also offering free pick-up and delivery in Drysdale and surrounding areas.